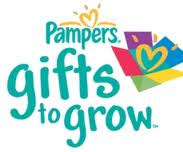 mommy's reviews: Yet Another New Pampers Gifts To Grow Code! Hi! Thanks for following Joyful Mommies! Just checked out your blog and enjoying all the great giveaways! I'm your newest follower!